At WiKID, our goal is to make security easier and less expensive. 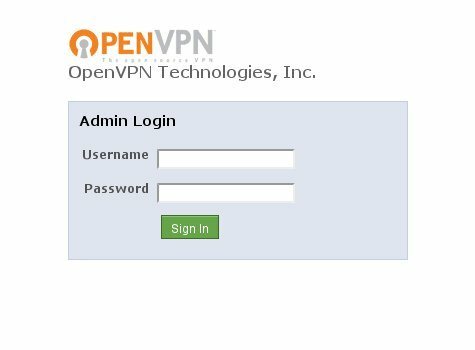 Pairing WiKID with two-factor authentication and OpenVPN AS is a great cost-effective solution to secure your network for minimal expense. I downloaded the RPM Version of OpenVPN Access Server and dropped the RPM onto a Centos VM. 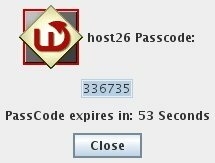 I had previously configured a WiKID two-factor authentication server using our Enterprise ISO. 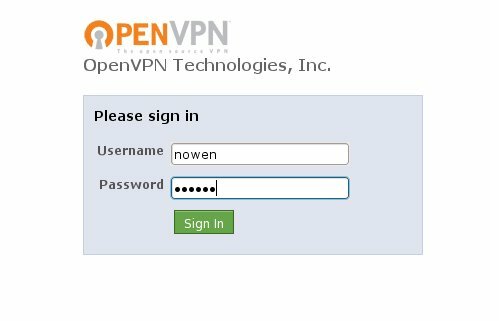 The OpenVPN server configures itself on install and directs you to change the password for the openvpn user and directs you to the Openvpn AS web interface. Proceed to the web interface at the interface and port you specified. 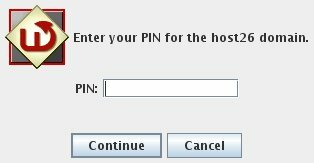 Login in with root or whatever credentials you supplied above. Once you specify that Radius is to be used, click on the Radius link to enter the details. When you submit the information, you will be prompted to updated the running server. Don't bother with that yet. 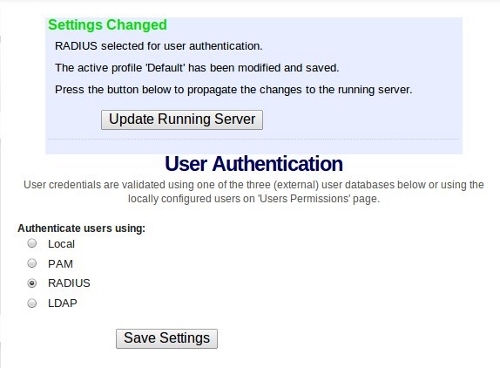 Click on the Radius link under Authentication to add the WiKID server as the two-factor authentication resource. 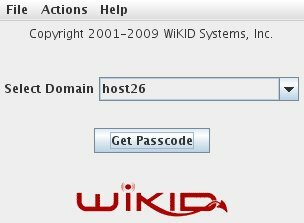 Enter the IP Address of the WiKID server and a shared secret. Please note that there are known attacks against CHAP and MS-Chap V2. Some of these are based on being able to unencrypt the user's password from stolen session data. It's possible that using an one-time passcode lessens the risks, but it probably depends on your session length. Hopefully, OpenVPN will add LEAP soon. That's it for the OpenVPN server. On the Network Client tab of the WiKIDAdmin interface, click "Add New network client:". 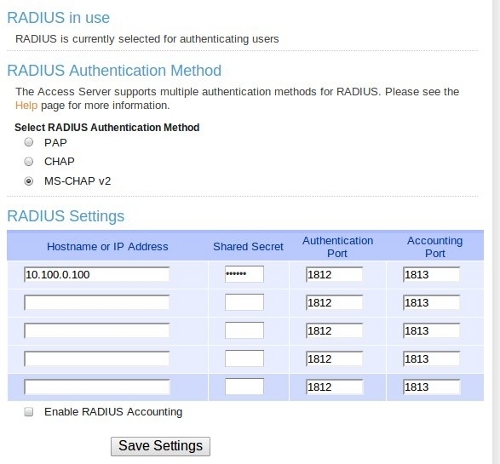 Give it a name, enter the IP address of the OpenVPN server, select Radius as the authentication protocol and choose the WiKID domain. Click Modify and enter the shared secret on the next page. Do not use any Radius Return Attributes. OpenVPN does not support them. That's it for the servers! One of the new features that OpenVPN AS has is the automatically created client configuration flies. The user logs into the web interface and downloads the client application (for Windows) and the configuration file. And you should now have an internal ip address! 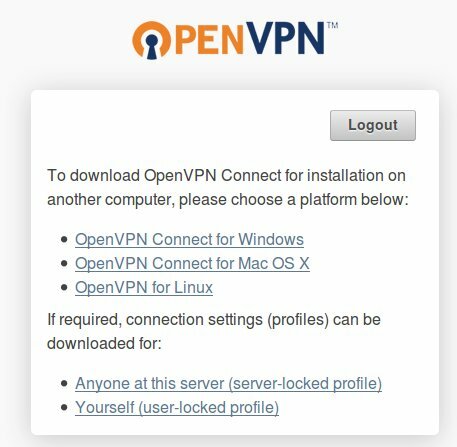 It's great to see a great product like OpenVPN get even better. The new radius management interface is quite nice in it's simplicity. With the recent increase in corporate attacks, password vulnerabilities and malware, it's definitely time to consider adding two-factor authentication to your VPN.